Mitochondrial donation (sometimes called mitochondrial manipulation technology or MMT OR MITOCHONDRIAL REPLACEMENT THERAPY) is a special form of in vitro fertilization in which the future baby’s mitochondrial DNA comes from a third party. This technique is used in cases when mothers carry genetic mitochondrial diseases, and conventional in vitro fertilization techniques do not work. Mitochondrial diseases often involve energy production issues, and ultimately muscular issues down the road for people affected. Mitochondria, the cell’s energy factories, are separate from the DNA that determines a child’s inherited traits. But mutations in these mitochondria can be devastating, resulting in fatal diseases involving the nerves, muscles, brain, heart, liver, skeletal muscles, kidney and the endocrine and respiratory systems that often kill babies in the first few years of life. The two most common techniques in mitochondrial donation are pronuclear transfer and maternal spindle transfer. A baby is being produced with the DNA of both parents, as well as some DNA from a healthy donor of mitochondrial contents. This technique is currently quite contentious in the field of ethical medicine, as is the case with many other gene therapies. Currently, mitochondrial donation techniques are legal in the United Kingdom In February 2016, a report was issued by the U.S. Food and Drug administration declaring that further research into mitochondrial donation is ethically permissible. The U.S. National Academy of Sciences panel, has given its approval in theory to mitochondrial transfer to prevent disease. In the United States, however, Congress has blocked FDA from allowing any such experimental treatments. A baby boy conceived with a controversial technique that mixes DNA from three people – has made headlines across the world. But with no way of verifying the claim because the specialists behind the procedure aren’t releasing data until October, some researchers are questioning the ethics of the procedure. In particular, why the US-based team behind the operation chose to carry it out in Mexico, a country with less-clear oversight of human embryo modification than, for instance, the United Kingdom or the United States. Among the unknowns is the possibility that the technique could transfer some diseased mitochondria from the mother into the donor egg along with the nucleus. According to Zhang’s abstract, 5% of the embryo’s mitochondrial DNA was carried over along with the mother’s nucleus — while mitochondrial DNA samples taken from the baby after birth varied from tissue to tissue and suggested a level of faulty DNA that was at most 1.6%. The question of safety, of course, is a key issue for any new medical technologies, particularly those that involve reproduction. The techniques have been shown to be successful in mice and monkeys but animal models do not necessarily translate to human subjects. In the USA, a procedure involving cytoplasm injection for fertility treatment in older women resulted in the birth of 17 children in 2000. Due to safety concerns the Food and Drug Administration (FDA) subsequently withdrew its license, and it is reported that subsequent attempts in China did not result in any live births. It is only now, 15 years later, that a project is underway to monitor the health of the surviving children. So follow up of the future and long term health of babies born out of any new technique is vital for proving its safety. Mitochondrial donation involves the transfer of genetic but not nuclear material, and this has led to uncertainty as to whether it should be regulated as egg donation or as tissue donation. Mitochondria play an important role in many bodily processes, and therefore the genetic contribution of the donor might be significant: there are complex interactions between nuclear DNA and mitochondrial DNA. This has raised concerns. Genetically, the child will, indeed, have DNA from three individuals but all available scientific evidence indicates that the genes contributing to personal characteristics and traits come solely from the nuclear DNA, which will only come from the proposed child’s mother and father. The donated mitochondrial DNA will not affect those characteristics. However this can be a confusing issue. Issues surrounding real identity of the baby. Whereas the discussions about identity and donor–child relationships focus primarily on the personal impact of the techniques, concerns have also been raised about the wider implications for society. Issues surrounding genetic modification of the embryo. Oocyte donation and surrogacy both are not legal in the UAE, so doesn’t appear likely these techniques will be allowed here in the near future. Fakih IVF Fertility Center is one of the leading Infertility, Gynecology, Obstetrics, Genetics and IVF Centers in the GCC region. Fakih IVF Fertility Center opened the first private IVF center in Dubai in 2011. In 2013, Fakih IVF Fertility Center’s second location was opened in the nation’s capital, Abu Dhabi. In 2014, Fakih IVF Fertility Center’s medical partners, Fakih Medical Center, opened in Abu Dhabi, Al Ain and Dubai. Fakih IVF Fertility Center is the only IVF center in the Middle East with a full service Genetics Laboratory, offering screening of hereditary diseases, chromosomal abnormalities and Gender Selection. 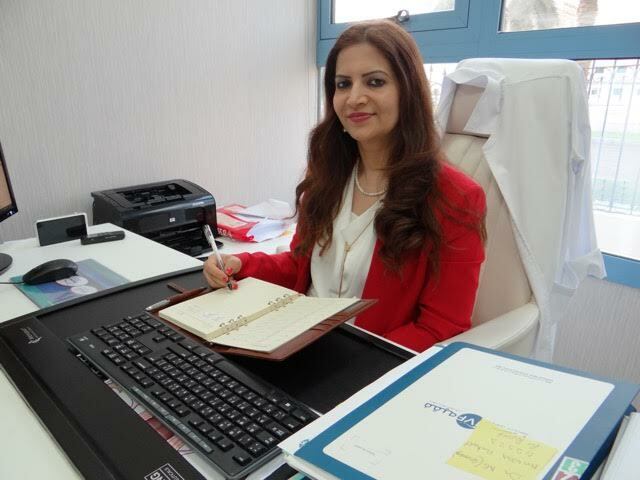 Dr. Monikaa Chawla is a Reproductive Endocrinologist and Fertility specialist in FakihIVF, Abu Dhabi, practicing the subspecialty for more than 18 years. Her research work has been published in many international and National journals and has been invited at various international conferences as a speaker. She acquired her MD in 1998, was awarded the membership of the Royal College of Obstetricians and Gynecologists (MRCOG) in 2004 and FRCOG (UK) in 2016. She was awarded the Fellowship in Reproductive medicine at the prestigious Guy’s And St. Thomas Hospital in London which is also the pioneer center for Pre-Implantation Diagnosis (PGD) in the UK. She is a member of the American Society of Reproductive Medicine, the British Fertility Society and the American Association of Gynecology Laparoscopists. She has extensive clinical experience in the emirates of Abu Dhabi and works mostly with Emirati clientele. She is immersed in the culture of the community for last decade and this has helped her deeply understand health issues specific to the region. She has pioneered the evolving health awareness and disease management trends in the MENA region for a substantial time period.